With the BeoVision 14, we are witnessing the rebirth of an icon - with the new Android TV platform and the UHD / 4K LCD technology for TVs. 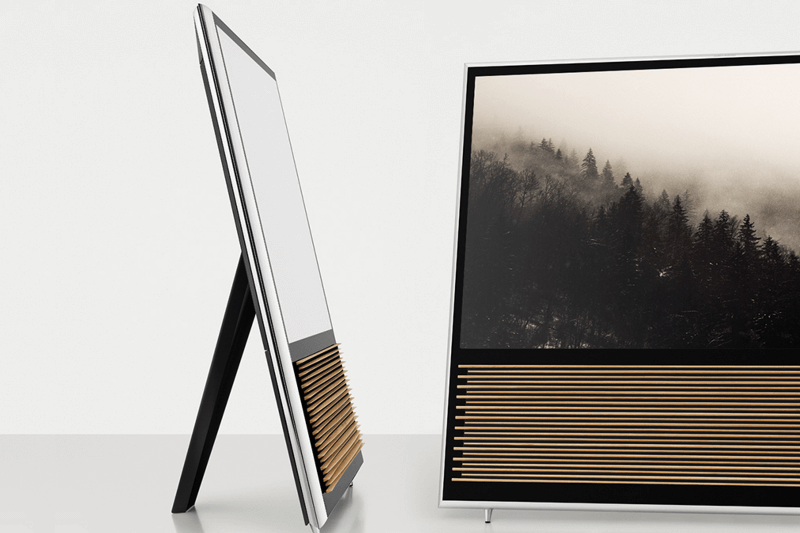 The idea of creating a frame for picture and sound is not only typical Bang & Olufsen, but has proven to be iconic design for TV sets. Televisions do not come more beautiful than this. The delicately crafted oak wood lamellas on the front create a warm organic contrast to the dark cool glass panel and the square aluminium frame that encloses all, sounds and visions with clean precision. 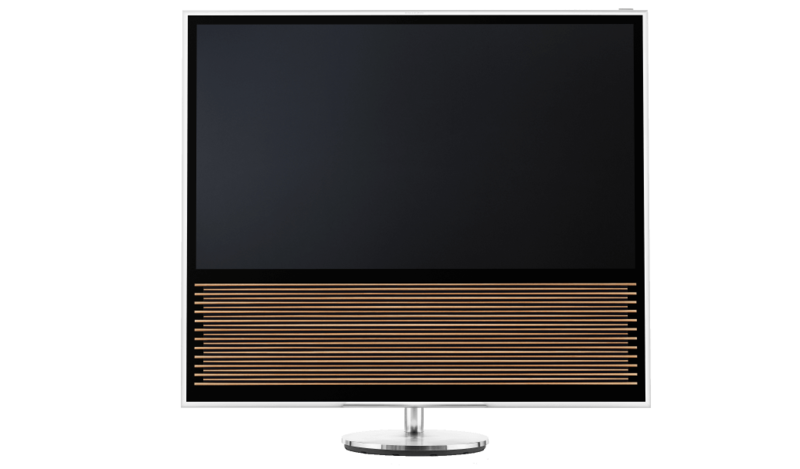 The BeoVision 14 is an optical and technological revision of the well-known concept of the BeoVision 11. Unverwechselbar und doch überraschend anders - die neue BeoVision 14 ist eine wiedergeborene Ikone. 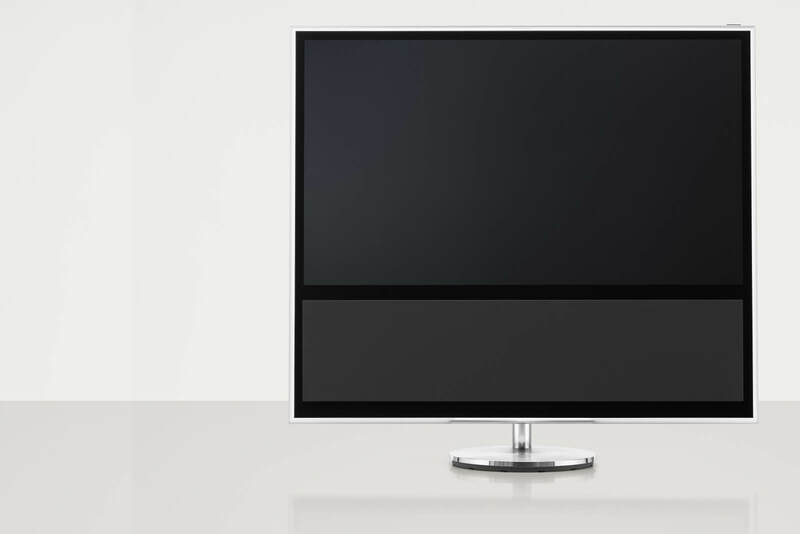 BeoVision 14 is available in the sizes 40 inches and 55 inches. The introduction of BeoVision 14 is supported by a visual revision. This includes a new wooden speaker, which gives the design a new classic look. It is ideally suited to the current style, which can also be found in other audio systems and loudspeakers where wood has been used. 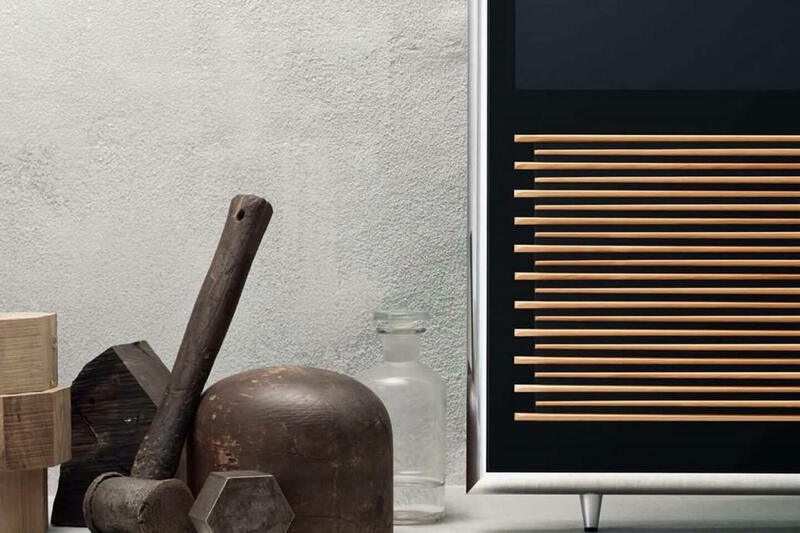 The lamella front of oak wood is based on the knowledge that Bang & Olufsen has collected regarding to the acoustics with the front cover of the BeoLab 18. BeoVision 14 is an Ultra-HD-TV (4K) that offers a variety of connectivity options as well as integrated access to a large number of your Apps. In addition, the sound is more impressive than most of separate speaker systems. 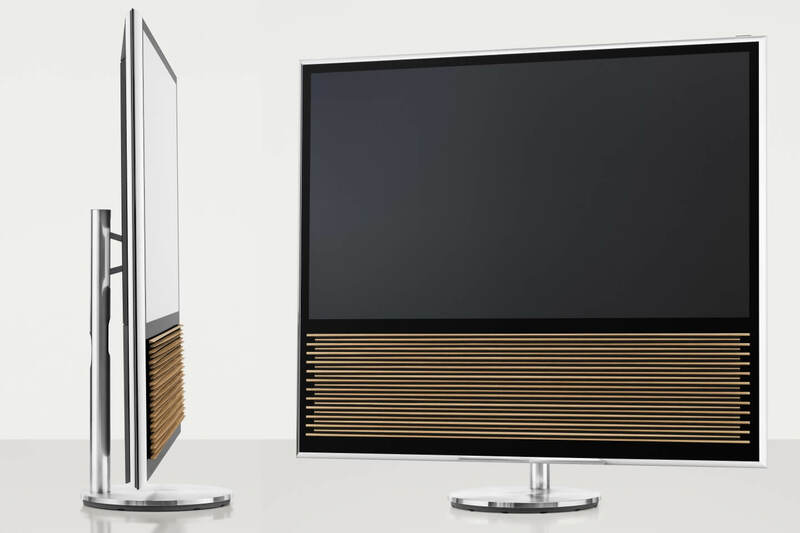 The BeoVision 14 is based on the constantly evolving Android TV™ platform. The familiar design deceives - both externally and internally, everything was changed. A new, sophisticated design provides a whole new, almost vivid look, the new technology provides a more flexible and independent TV experience. The design is characterized by an elegant frame of polished high-gloss aluminum and a large glass surface that flushes with the screen. 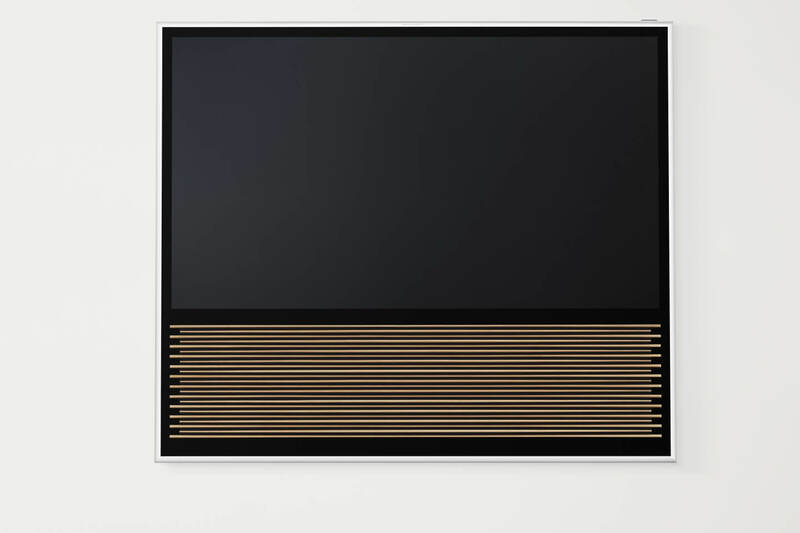 Combined with the warm lamella front of oak, these elements make the BeoVision 14 a solution with elegant details that only a true master of his craft can create. 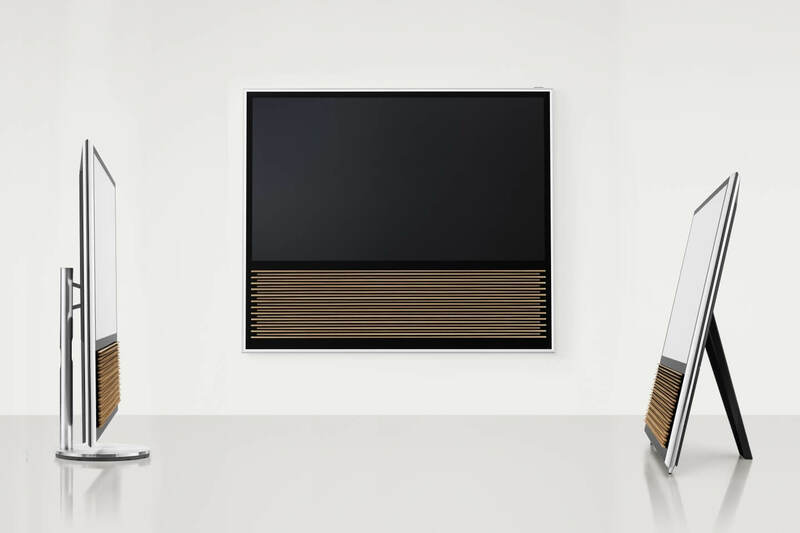 The construction of the ultra-thin oak wood lamellas that cover the three-way custom build speaker of BeoVision 14 requires extraordinary precision work that stretches the limits of the material and only the finest flawless oak will do. The warm wooden ambience of the speaker cover draws upon acoustic learnings from the iconic BeoLab 18 loudspeaker that displays similar oak lamellas. BeoVison 14 comes with a 40- or 55-inch LED-based LCD screen with anti-reflection front glass, which dampens disturbing reflections with more than 98%. BeoVision 14 offers a sharp and contrastful picture even in bright daylight. The front glas with a two-sided reflection-reducing coating guarantees in conjunction with the 360° light sensor for automatic image adjustment and numerous further mature functions for an optimal image quality. Furthermore, the TV includes sophisticated technologies to ensure optimum image and sound, whether you are watching films, listening to music or playing games. 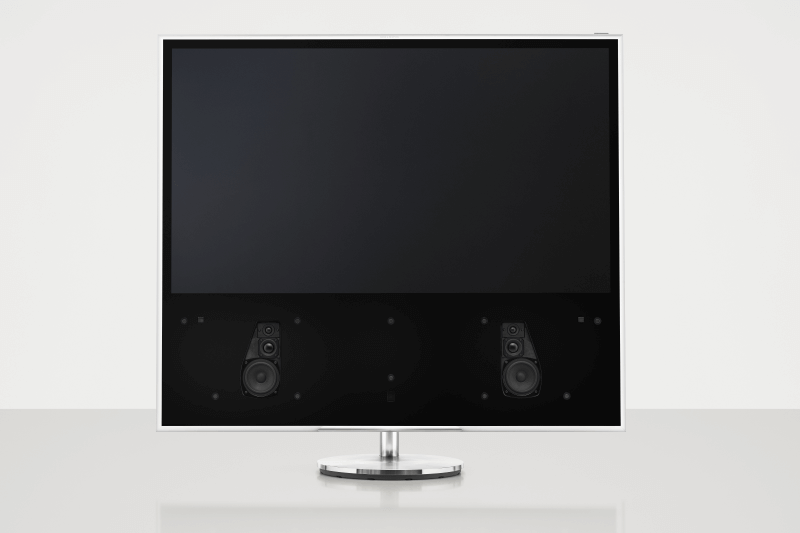 The sound quality of this integrated solution with three-way loudspeaker system and two bass connections below the screen panel is unmatched in comparison with other products on the market. 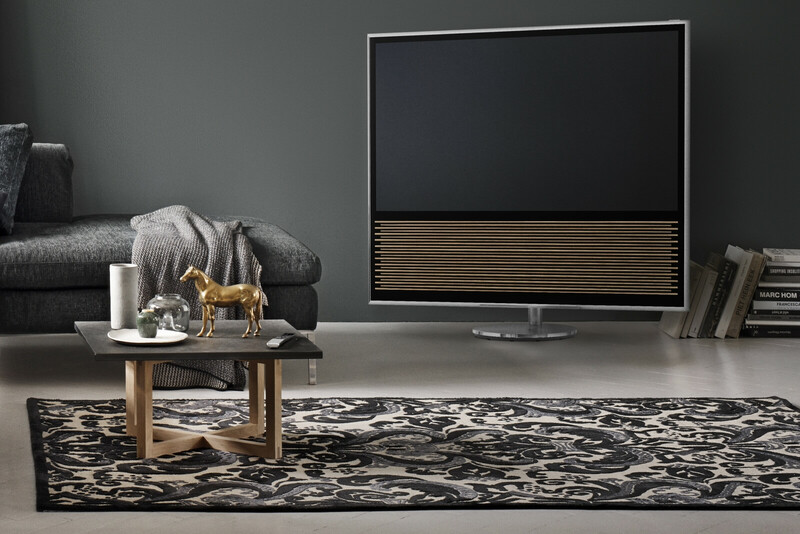 The high sound quality of TV sets is one of Bang & Olufsen's hallmarks. Each component of the sophisticated technology is designed to allow the TV to adapt to a variety of situations. Whether you watch movies, listen to music, or play games, it always offers the best possible performance. In addition, the audio system can be transformed to a real surround solution using the built-in 7.1 surround sound processor. Thereby additional speakers are used on the front and the rear, which can either be connected via cable or wireless. In order to create the ultimate movie experience, the integrated technology ensures optimal image quality at all times. 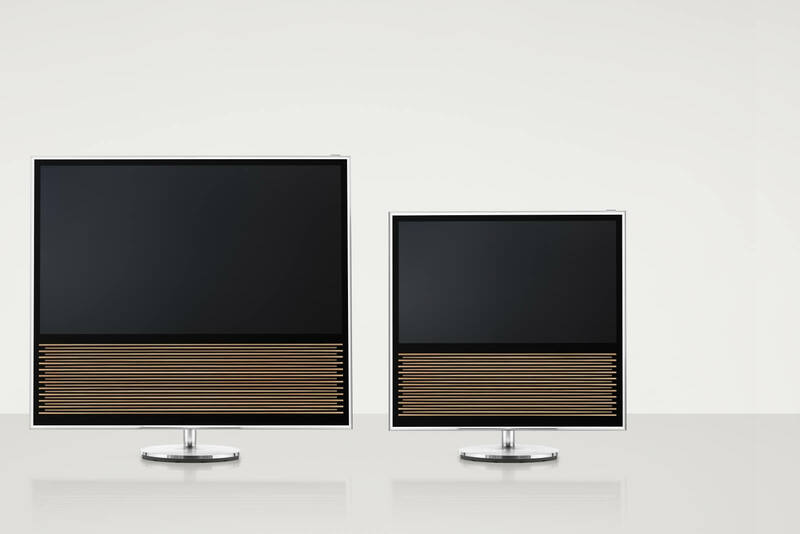 The new iconic TV from Bang & Olufsen offers total freedom in terms of placement options. Choose a motorised floor stand for intelligent adjustability using only the remote control, hang the TV on the wall like a work of art – left or right hinged, or place it casually leaned back on a fixed easel stand. 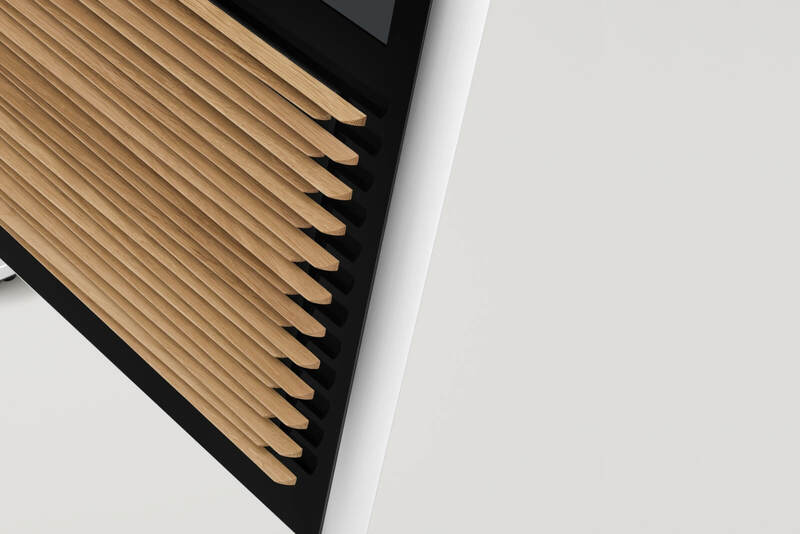 As an alternative to oak lamellas, cloth fronts are available in multiple colours to customise the appearance of BeoVision 14 to your interior décor. You can place BeoVision 14 on a motorized floor stand, and the TV is always optimally aligned, so you so easily have it in view wherever you sit. On an easel stand, the TV is slightly tilted backwards and almost looks like a perfectly integrated piece of furniture in your home. With the Wall bracket BeoVision 14 is hung up like a painting on the wall, not as a masterpiece of art, but as a discrete decoration. 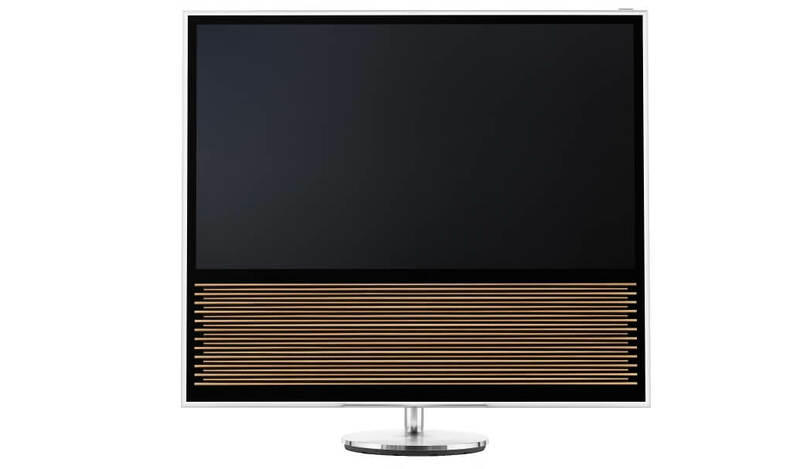 BeoVision 14 will of course integrate seamlessly with all the other BeoLink Multiroom products from Bang & Olufsen. Using the TV's speakers you can listen to music or transfer the sound from the TV to another room. 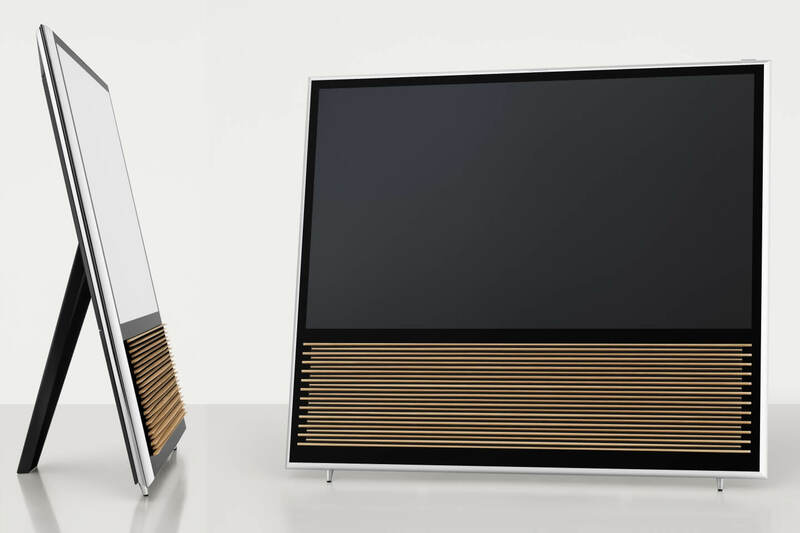 Simultaneously with the launch of BeoVision 14 Bang & Olufsen introduces a new version of the iconic BeoRemote One. The new BeoRemote One Bluetooth presents a button layout that includes four MyButtons that allows to take a snapshot of a setting (e.g. the stand position, the volume and other settings) and then revert to the exact same at the touch of just one button. Integrated comfort and versatile connectivity options. BeoVision 14 is a solution designed to make your entertainment system as easy and practical as possible. It provides a large number of integrated features that will satisfy all family members. 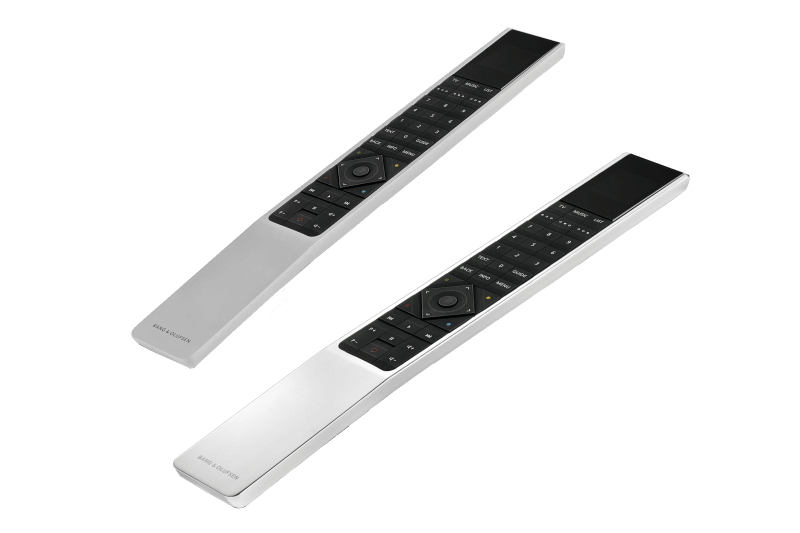 With the BeoVision 14 you can control all connected devices via a single remote control - the BeoRemote One BT. Lean back and press "turn" and the motor wall bracket or the motor floor stand will follow your command. The USB port can optionally be used to connect a hard disk recorder for recording TV programs from the integrated DVB tuner. This allows you to choose exactly when you want to watch a specific program. BeoVision 14 is powered by the Android TV™ platform, which provides fast and easy access to an almost infinite number of web-based content and exciting entertainment, news, and game Apps. The integrated Google CastTM technology enables streaming of movies, photos and music straight from the mobile phone or tablet at the touch of a single button. BeoVision 14 also handles new formats such as HEVC, which allows streaming of 4K content directly from online sources. 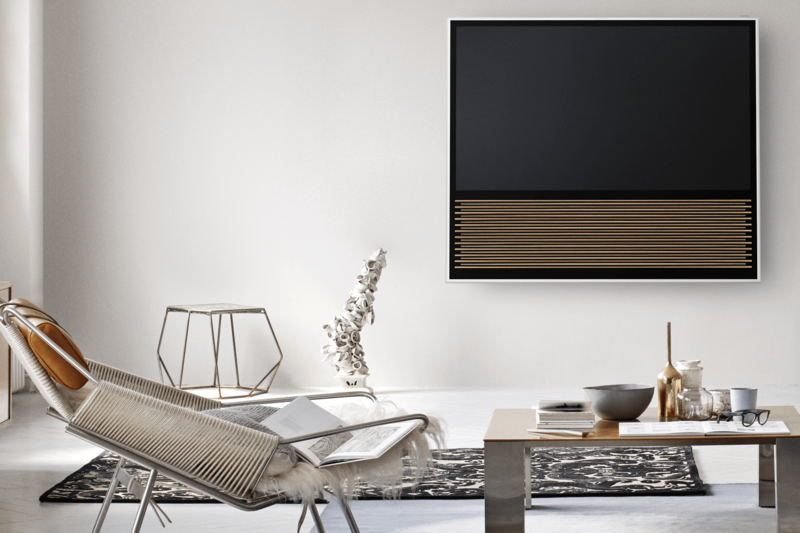 Experience BeoVision 14 in your home. Don't miss a manufacturer's campaign or other advertisings where the price is reduced for a limited time. We will inform you automatically if your desired price for BeoVision14 is reached or we have another suitable offer for you.